Louis Aguilar: 19 years old french guy, playing a calm and relaxing minimalistic folk, already supported artists like Moriarty, Micah P. Hinson and Devendra Banhart. Six Feet Under, from Old Man Poems (Noize Maker Records, 2009) is an almost 8 minute long song that will get stuck in your head for a very long time. Louis Aguilar is a young musician from France. Born in 1990, he started playing music when he was just 7 and released his first self produced album at the age of 16. He already toured all around France, supporting artists as Moriarty, O’Folk Brothers, Micah P Hinson, Devendra Banhart and he’s currently majoring in Art at the Missouri Valley College in order to become a tattoo artist. Likened to Townes Van Zandt and Bob Dylan by the french music webzine La Blogotheque, Louis Aguilar is really careful about his artistic independence and agreed to work with french labels as Ohayo Records and Noize Maker Records. 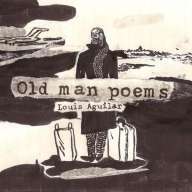 His last album “Old Man Poems” was released by Noize Maker Records in august 2009. Thx for this awesome song!